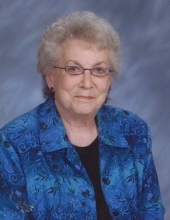 Mildred Ilene Jones, age 90, went to be with her dear Lord on Thursday, January 24th, 2019. She was born to Sam and Margaret Sperle on Oct 1st, 1928 in Bessie, Oklahoma. She graduated from Cordell High School and started her first civil service position with the Farmers Home Administration. From there she went to work at the Washita County Treasurers office and then transferred to Tinker AFB from which she retired 31 years later. Over the course of her life some of her favorite pastimes have included square dancing, bowling, painting, playing Bridge, traveling, and her true love of reading. Mother was strong, independent, disciplined and determined. She held strong in her beliefs of hard work and doing what is right; in how to treat others and in her faith in God. She was very close to her grandchildren and worked to instill these values in them as well, and above all else she was always there to support her entire family, no matter what. No decision was made without asking for her thoughts. She was our rock and our inspiration and will forever be loved and greatly missed. She is preceded in death by her parents, her husband of 60 years, Presley Wayne Jones, her sister Edna Allen, brother-in-law Richard Allen, cousin and best friend Virginia Lee Hale, and many other relatives and friends. She is survived by daughters, Shelley Karth and Kallin Curry; grandsons, Matthew Johnson and Samuel Curry; granddaughter, Amanda Karth, great grandson, Traesyn Grant; special niece, Gaynell Coil, and many other nieces and nephews. To send flowers or a remembrance gift to the family of Mildred Ilene Jones, please visit our Tribute Store. "Email Address" would like to share the life celebration of Mildred Ilene Jones. Click on the "link" to go to share a favorite memory or leave a condolence message for the family.